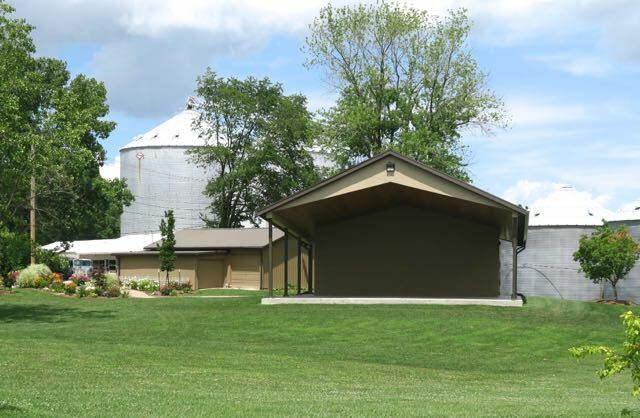 Martinsville's Linn Park Amphitheater: Our First Talent Contest Was a Great Success! Our First Talent Contest Was a Great Success! Sixteen talented people of all ages registered for the Talent Contest that was held yesterday. Two of them had to cancel at the last minute because of illness, but there was still a great variety of acts to entertain the audience. The weather was perfect! Even though showers seemed eminent the rain held off till after the show and the overcast skies made sitting on the lawn a fun, comfortable event. Acts competing included a trio, two piano solos, a clarinet solo and several different singing solos--some playing guitars, some singing to CDs. Dylan Schneider won first place singing "Barefoot Blue Jean Night." Garrett Biggs came in second singing an original song he wrote, and Kurt Williamson won third place as he sang "Suffer In Peace." Great fall desserts were baked and served by the Festivals & Events Committee.